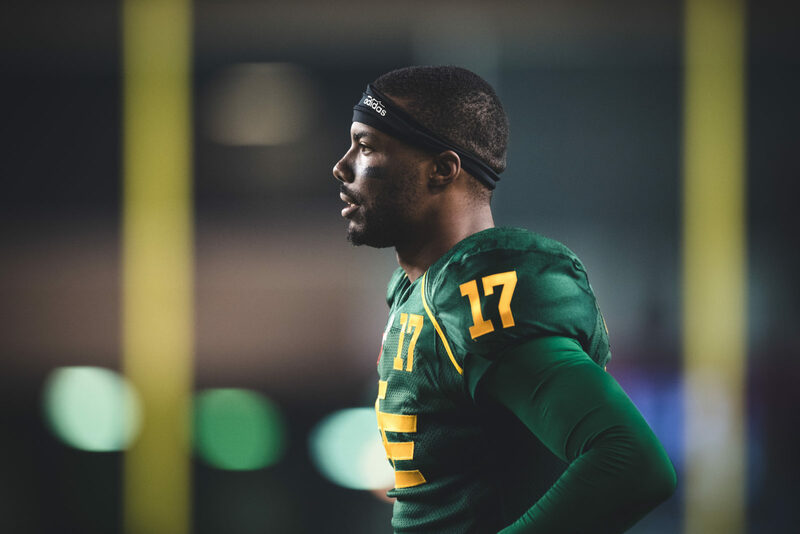 HAMILTON — The Hamilton Tiger-Cats have acquired national receiver Shamawd Chambers from the Edmonton Eskimos in exchange for draft picks. The deal was announced on Sunday, as Chambers heads to Hamilton while a seventh round pick in 2018 and a fifth round pick in 2019 go the other way. Chambers, 28, has appeared in six games with the Eskimos this season, posting four receptions for 40 yards. The 6-foot-3, 219-pound native of Markham, Ont. has recorded 141 receptions for 1,543 yards and eight touchdowns over 70 games during his six-year CFL career with the Eskimos (2012-15, 2017) and Saskatchewan Roughriders (2016). He won a Grey Cup with the Eskimos in 2015 and was named the game’s Most Valuable Canadian in Edmonton’s 26-20 triumph over the Ottawa REDBLACKS. Selected in the first round, sixth overall, by Edmonton in the 2012 CFL Draft out of Wilfrid Laurier University, Chambers registered 2,068 yards on 151 receptions with 18 touchdowns in 37 career games with the Golden Hawks. He also returned 26 kickoffs for 587 yards and a touchdown and 27 punt returns for 237 yards.